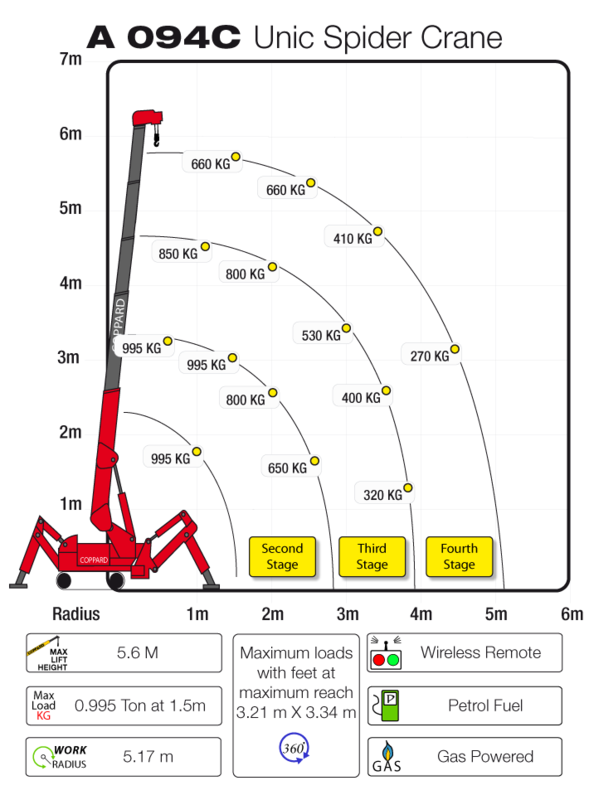 The URW-094 is the smallest spider crane in the mini crane range. At only 595mm wide and weighing 1000kg, it is the world's smallest and lightest mini crawler crane, ideal for manoeuvring into the most confined working areas. Once in position, the URW-094 is capable of lifting heavy loads of almost a tonne with its 5.49m long boom allowing a maximum hook height of 5.6m. The URW-094 delivers unparalleled heavy lifting capacity for such a compact mini crane. 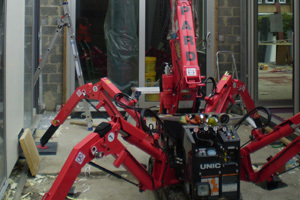 This spider crane has been used for a number of different applications, from glass installation to subterranean maintenance.